ingredient that will enhance your pet food brand. 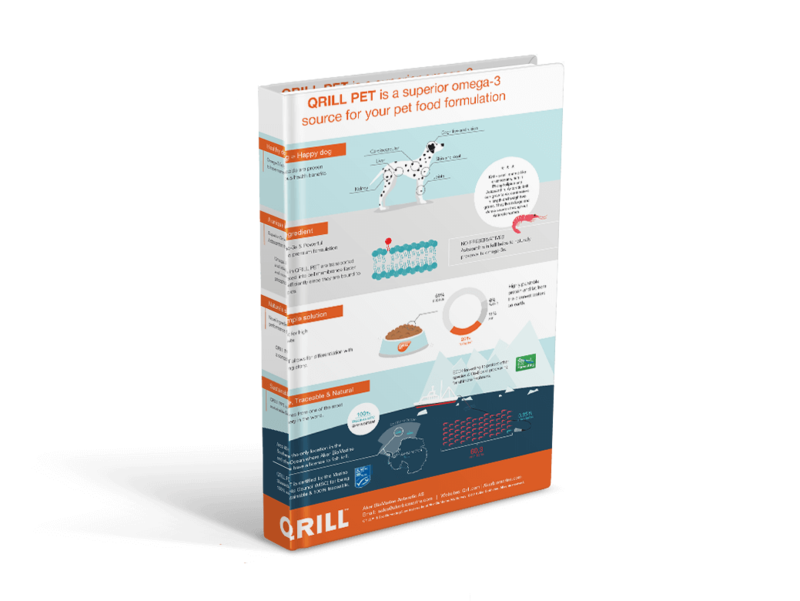 QRILL Pet is a 100% natural product, made only from whole Antarctic krill. When developing this unique product, we kept our focus on the needs of pets and pet food formulators. Knowing that many pet food formulators look for new and innovative solutions, we offer a product that delivers many beneficial nutrients yet is easy to include in pet food recipes. An important ingredient for pet food, omega-3s have demonstrated great health benefits for pets. The unique nutritional advantage of Antarctic krill is the superior bioavailability of its omega-3s. The omega-3s in QRILL Pet are mostly bound to phospholipids, which differentiates them from some traditional omega-3 sources. Known as the foundation of all cells, phospholipids are more effectively incorporated into tissues and cells. Recognized for its health-promoting suppression of free radicals, the astaxanthin in QRILL Pet keeps the product fresh and protects its omega-3 fatty acids from oxidation. Rich in marine fats and proteins, QRILL Pet is highly palatable to our furry family members. Omega-3s come in different forms. Can pet meals be healthy and tasty? Yes, QRILL pet makes it possible. how and where we harvest our krill.